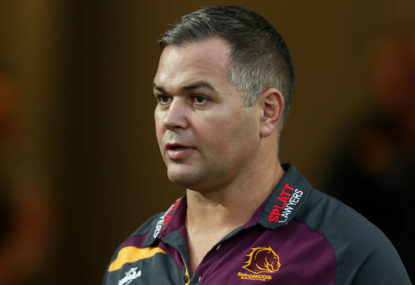 As the season really starts to get going and the runners and riders start showing their colours, the talk will inevitably turn sooner rather than later to Origin selection. A few sure starters and maybe even a few bolters feature in this week’s team. A quick reminder that players in the team are being picked in the position they played on the given week, including interchange players. He was only kept out of this team last week by the returning heroics of Tom Trbojevic, but this week there was no stopping Tedesco. 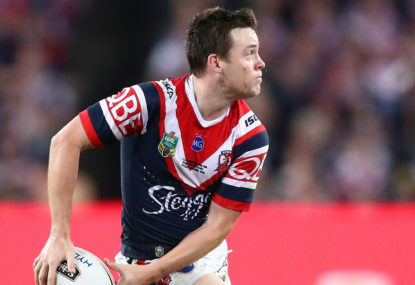 He was a major part of a Roosters’ effort that made the resurgent Broncos look amateur, busting seven tackles and running over 200 metres to go with a try of his own and a try-saving tackle. Not a bad night’s work, but Clint Gutherson deserves a mention here as well. Nevertheless, lock up the Blues’ No.1 jersey now – Teddy’s not going anywhere. This kid appears to be the real deal. The Bulldogs generally have looked much better since Dean Pay cleared out some of the dead wood and Okunbor has been vital in the growth of the new crop. He really came into his own on Sunday, facing up to Suliasi Vunivalu, no less. 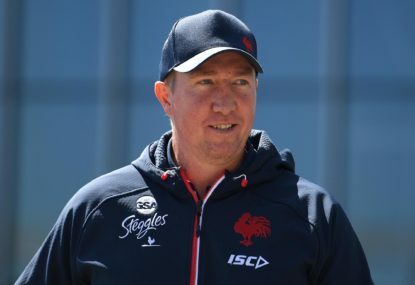 His try was backed up with three line breaks, six tackle busts and 290 metres – not many players will do that to Melbourne this year. This guy first started grabbing attention properly in last year’s finals series and it was clearly no fluke. Every bit as destructive and impactful in his own way as the much-lauded Latrell Mitchell on the other edge. A Kiwi rep, Manu brings defensive power to the Chooks but against the Broncos he was fully unleashed in attack too. ‘Leipana’ is back, and no mistake. The lethal right-edge duo for Canberra absolutely took the Cowboys apart up in Townsville in a statement win that tells us the Raiders are really going after it this year. Balance that with the burgeoning combination between Jarrod Croker and Nick Cotric on the left edge, Charnze Nicoll-Klokstad doing bits in the 1 jersey, and Jack Wighton showing near career-best form at 6? Suddenly the Raiders look tasty. With one comes the other. Rapana was back earlier than anyone could have predicted from the nasty injury he suffered on rep duty in England, but blimey, Raiders fans won’t be questioning that decision. 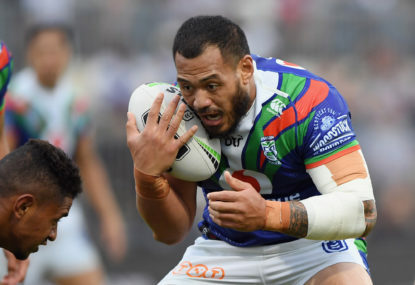 Two tries, a fabulous assist to his partner-in-crime Leilua, as well as 178 metres in a completely dominant performance against a vastly out-gunned Cowboys edge. Done and dusted. 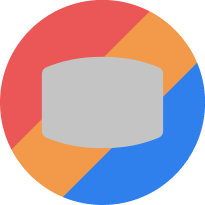 I’m calling it. Give this man the Dally M now. Stop the votes, rip up the ballot papers, he’s too good. Munster has been out of this world this season and after displayed all the tricks in his locker with a strip-fest in Bathurst last week. He also showed game-management skills that we haven’t seen previously to nurse an under-performing Storm side at home against the rejuvenated Dogs. Plus, his try wasn’t bad either. Josh Reynolds was class on his first start of the season for the Tigers, but Munster has got the lot. In a week where a few halfbacks won games for their side with clutch plays, Moses showed them all how it’s done – by not letting it get to that point. He controlled the Eels magnificently from the outset against the Sharks. This is the kind of performance we have always known he can produce but if he can start doing it every week, with Nathan Cleary not hitting top gear yet this season, that Blues 7 jersey is looking temptingly vacant. But then, we’ve said this all before, haven’t we? Siosiua Taukeiaho can probably feel rightly aggrieved to have missed out this week after another powerhouse performance, but Paulo stood up to an imposing Sharks pack and carried an Eels forward division missing Nathan Brown and Manu Ma’u. It was sensational. His first stint, in particular, was almost unstoppable. He, like Blake Ferguson, is doing the job he was brought into the club to do from the off in 2019, and he is a lesser-noticed but equally important part of their return to form this term. This was absolute toss-of-a-coin stuff between Hodgson and Damien Cook, but Hodgson just edges it for the range of skills he put on display in Townsville. He was determined and impactful in defence, showed his quality kicking out of dummy half, and also displayed exemplary decision-making, especially when playing down the short side – a vital skill in the Canberra arsenal. It’s showing just how much they missed him last year. Another Origin representative onto the team this week, and on this evidence he’s another who can breathe easy on selection day. 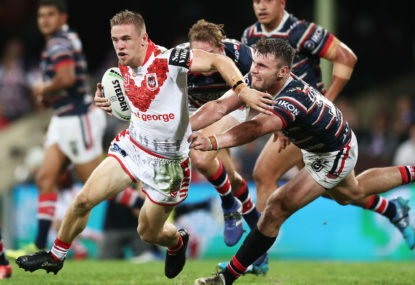 A massive showing from Vaughan to underline his impressive start to 2019 helped the Dragons quell a resurgent Newcastle – who, for the record, look infinitely better for returning Kalyn Ponga to fullback. Vaughan’s 41 tackles and 220 metres edges out his opposite prop, David Klemmer, this week. I am no stranger to putting players from defeated teams in, but this guy must be wondering how on Earth his side lost. The Tigers had multiple chances to put a poor Panthers side away but didn’t take them and were punished. Matterson did take his chance though, scoring what should have been a big try to go with his usual busy output of 32 tackles and 158 metres. He edges out Sam Burgess (again) and John Bateman. I just mentioned that Bateman was in the running for a spot, but the man who really came to the party in Townsville was on the other edge. Whitehead has shown us already that he’s made of stern stuff and was the standout in a pack that showed up a Cowboys unit full of rep stars. He ran hard, defended massively and didn’t give the opposition a sniff. I know there are a lot of Raiders in this week’s team but they were just that good. I was surprised when I read back through this team to find that it took me this long to include a Manly player after they pulled out a win over the in-form Bunnies. Then I realised how much of that victory was down to the never-ending work of Jake Trbojevic. He is an absolute titan, as we know, and put in a defensive shift to match it – his hit on a rampant George Burgess was something else. I had James Fisher-Harris pencilled in here, but there was no keeping this guy out. Another Origin series (and maybe a start this time) beckons. My personal admiration for John Asiata almost got him in here, as he seemed about the only Cowboy capable of laying a glove on Canberra at times, but the pure impact of big Bill Kikau couldn’t be ignored. The Panthers pack has definitely missed him and it’s no coincidence that they started to show some steel once he came back. He is such a big weapon on both sides of the ball that it may just be the thing that sparks them into life. 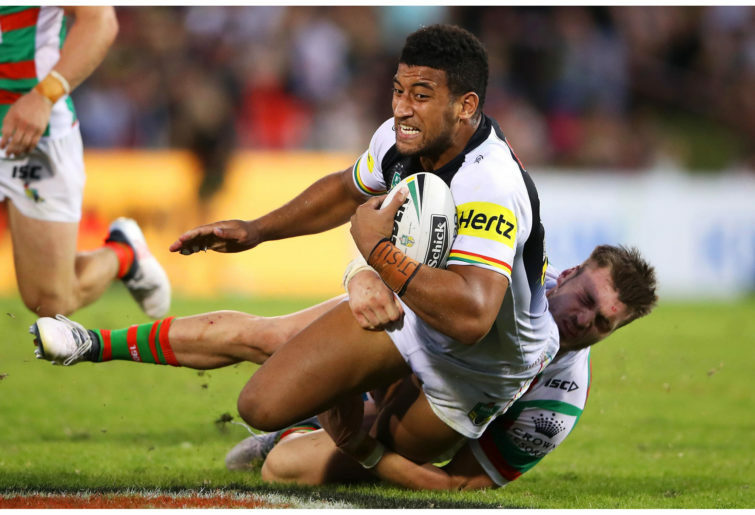 Viliame Kikau of the Panthers (Photo by Mark Kolbe/Getty Images). I know it’s an obvious pick, because he scored two tries off the pine, but sometimes I’m allowed to go for the low-hanging fruit. An eternally dedicated servant to the Bondi club, Aubusson was the man in the right place at the right time on Thursday night. 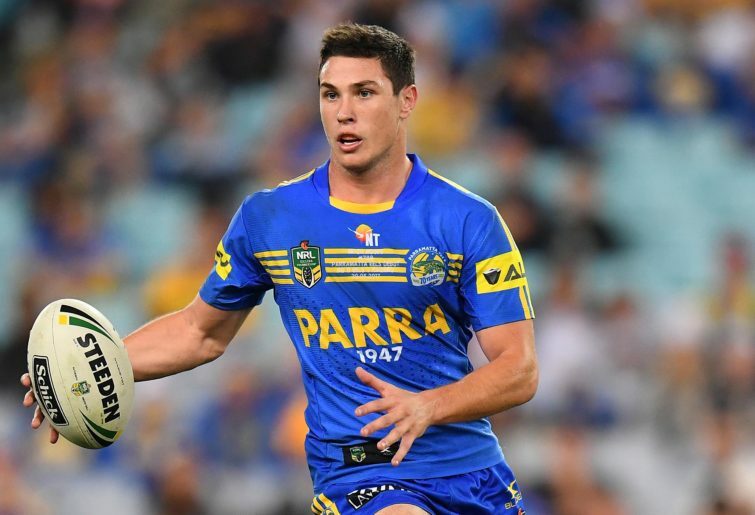 I have to say, this one took me by surprise because I had almost forgotten this guy was still in the Parramatta 17. But Kane Evans’ defensive intensity really impressed as he helped keep Cronulla at bay and allowed Parramatta to ice the game. He’s not quite delivered in the way we expected when he signed from the Roosters, but there’s still time. He’s a total firebrand, he hits hard, runs hard, but still shows enough control to refrain from becoming a discipline case like a Jack Hetherington or Keegan Hipgrave. This guy has some serious power in his body – his inner fire presumably kept lit by his flaming hair. I love how he plays the game and I can’t wait to see it improve through the season. The likes of Bunty Afoa could probably have staked good claims for bench spots this week, but c’est la vie.